Описание: Серия учебных пособий от издательства New Oriental для подготовки к сдаче международного экзамена по английскому языку IELTS, по всем основным навыкам - Чтение, Письмо, Говорение, Аудирование. Данная серия учебных материалов разработана специально для студентов восточных стран. Lessons for IELTS Listening - You may find that listening is one of the more difficult modules in IELTS because you have to listen, process the language, read the questions, and write the answers all the same time. 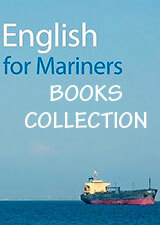 You will practise a lot of these in this book. 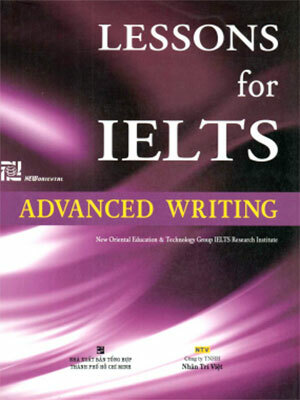 This book is designed to help you to prepare for the test in a academic way. You will learn a lot of useful vocabulary, and you will learn how to predict and listen for different kinds of information. Lessons for IELTS Speaking - The Speaking test, although relatively short (11-14 minutes), is often the most nerve-wracking module in IELTS because you are face to face with the examiner. Not only that, but you have to listen, process the examiner’s language, and answer the question clearly, using correct grammar structures and with only a minimum of hesitation.. Lessons for IELTS Writing - One of the most difficult challenges you will face in a Academic Writing Test is being able to respond to Task 1 and Task 2 questions appropriately. In this book, you will be guided to produce the kind of writing that is required. Grammar is very important. You will learn the most common verb tenses and how to use them as well as the correct grammar structures for a variety of language functions that you will need to answer Task 1 (comparing, contrasting, etc.) and Task 2 (evaluating, discussing, giving opinions, etc.) . Lessons for IELTS Reading - The most difficult challenge you will face in the Academic Reading Test is the enormous amount of unknown vocabulary. In this book, you will learn a lot of frequently used academic words but, more importantly, you will learn strategies for managing unknown vocabulary. Each unit has extensive activities to help you develop your English vocabulary because a wide vocabulary base is one of the keys to success in the Reading test..